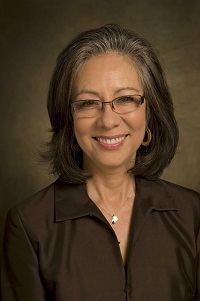 Melba J. T. Vasquez received her doctorate from the scientist-practitioner counseling psychology program at the University of Texas at Austin in 1978. She is an independent practitioner in Austin. Her areas of scholarship are ethics, multicultural psychotherapy, psychology of women, supervision and training. She has provided leadership service to the profession of psychology for three decades. Before becoming a psychologist, Vasquez taught English and political science in middle school. While working on a master's degree in counseling, she was encouraged to apply to UT's doctoral program. As a member of the first generation in her family to attend college, Dr. Vasquez had never until then considered obtaining a doctorate. Involvement as a member of the first cohort of the APA Minority Fellowship Program provided a powerful socializing process into the profession and incentive to contribute to the discipline. After graduation, Vasquez served as a psychologist in the university counseling center, directed the internship training program, and taught in the counseling psychology doctoral program at Colorado State University and later, the University of Texas. 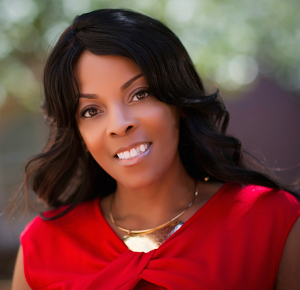 After 13 years, she embarked upon full-time independent practice while continuing active involvement in scholarship, mentoring, professional leadership and advocacy. Vasquez has served on the APA Board of Directors and in various roles in APA governance, including as member or chair of a dozen APA boards, committees and task forces. Her experience initiating new, major projects include co-founding the National Multicultural Conference and Summit as well as Divs. 45 (Society for the Psychological Study of Culture, Ethnicity and Race) and 56 (Trauma Psychology). Dr. Vasquez is a past president of APA Divs. 17 (Society of Counseling Psychology) and 35 (Society for the Psychology of Women), and the Texas Psychological Association. She served as an APA council representative from Divs. 17, 42 (Psychologists in Independent Practice) and 45. She has advocated for psychology at the state and federal legislative levels, receiving both the Heiser Award and the AAP Advocacy Award. An author and editor, Vasquez has published extensively. She is co-author of three books, including "Ethics in Psychotherapy and Counseling" (Pope & Vasquez), "How to Survive and Thrive as a Therapist" (Pope & Vasquez), and "APA Ethics Code Commentary and Case Illustrations" (2010, Campbell, Vasquez, Behnke & Kinscherff). She has written more than 65 journal articles and book chapters, and served on the editorial boards of 10 journals. She is currently writing a book on multicultural therapy for an APA Theories of Psychotherapy Monograph series. Honors and awards include: Fellow of APA Divs. 1 (Society for General Psychology), 17, 31 (State, Provincial and Territorial Psychological Association Affairs), 35, 42, 44 (Society for the Psychology of Sexual Orientation and Gender Diversity), 45, 49 (Society of Group Psychology and Group Psychotherapy), 52 (International Psychology), 56 and member of Divs. 9 (Society for the Psychological Study of Social Issues), 29 (Psychotherapy), & 51 (Society for the Psychological Study of Men and Masculinity); diplomate in counseling psychology from the American Board of Professional Psychology; Distinguished Practitioner of Psychology in the National Academies of Practice; and recipient of over 30 awards for distinguished service, advocacy and mentoring. Wizdom Powell is Director of the Health Disparities Institute and Associate Professor of Psychiatry at The University of Connecticut. 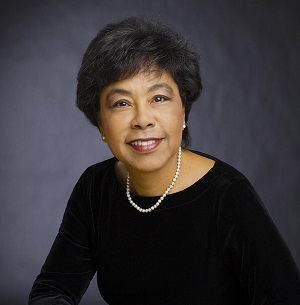 Formerly, Dr. Powell spent over a decade at UNC-Chapel Hill’s Gillings School of Global Public Health where she held a tenured appointment in the Department of Health Behavior and was Research Associate Professor and Associate Director of the Center for Health Equity Research in the Department of Social Medicine. In February 2010, Powell gave invited testimony before the President’s Cancer Panel (PCP) on physician communication with minority patients and its impact on their mistrust and use of health care. The PCP used her testimony to recommend national strategies for eliminating cancer disparities to President Obama. In 2011-2012, she was appointed by President Obama to serve as a White House Fellow to Secretary of Defense Leon Panetta. In this role, she provided subject matter expertise on Military Mental Health (e.g., PTSD, Suicide, and Military Sexual Trauma). Her community-based research focuses on of the role of modern racism and gender norms on African American male health outcomes and healthcare inequities. She has published numerous peer-reviewed articles and book chapters including ones in the American Journal of Public Health, Journal of General Internal Medicine, Behavioral Medicine, and Child Development. In addition to being a White House Fellow, she is an American Psychological Association (APA) Minority, Robert Wood Johnson Foundation, Kaiser Permanente Burch Leadership, Institute of African American Research, and Ford Foundation Fellow who received a Ph.D. and M.S. in Clinical Psychology and M.P.H. from the University of Michigan-Ann Arbor. She serves as chair of the APA’s workgroup on Health Disparities in Boys and Men and co-chair of the Health Committee for President Obama’s My Brother’s Keeper Initiative in Durham County. In recognition of her public service to boys and men, she received the American Psychological Association’s (D51) Distinguished Professional Service Award. In 2015, she received the prestigious Phillip and Ruth Hettleman Prize for Outstanding Artistic and Scholarly Achievement by Young Faculty. Dr. Powell was awarded a 2017 academic writing residency at the Bellagio Center from the Rockefeller Foundation. During this highly competitive residency, Dr. Powell worked with other global leaders on collaborative strategies for transforming social and healthcare system landscapes to address gendered health Inequities among vulnerable males. Most recently, she was selected as a Health Innovator Fellow by the Aspen Institute.